Is A Completely Cashless Vending Machine The Future? Is a completely cashless vending machine the wave of the future or is it something you should invest in today? I’ve done some research to see just how feasible it would be to purchase a completely cashless vending machine. 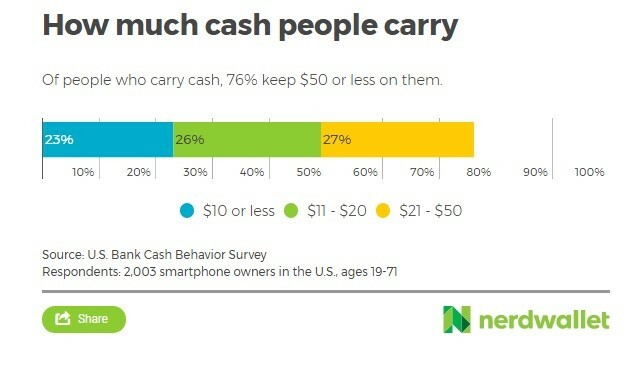 A new study shows, almost nobody carries cash anymore, and those who do, don't carry much. Roughly 8 in 10 people carry less than $50 cash in their wallets on a regular basis, according to a new report from Bankrate.com. 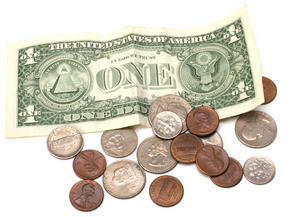 Close to 50 percent of Americans carry $20 or less each day, including nine percent who don't carry any cash at all. And only 7 percent carry more than $100 each day. "Consumers prefer to pay with plastic, debit or credit or some other type of mobile technology," says Greg McBride, chief financial analyst for Bankrate.com. That makes the case for a purely cashless vending machine quite relevant in today’s world. 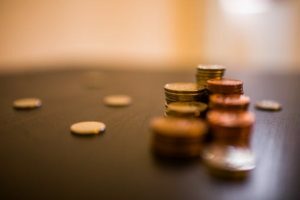 Instances where consumers spend this cash appear to be shrinking as well, with 46 percent claiming they use cash fewer than eight days each month, and 5 percent saying they never use it. 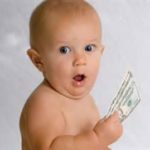 Almost two-thirds (62%) of American adults feel that it’s likely the US will be a cashless society in their lifetime, reports Gallup in recent survey results. Separate results from the study indicate that Millennials will be leading the charge to a cashless society. And that’s not just because they will live longer! Most young Americans are already comfortable with the prospect of a cashless society. A majority (56%) of 18-29-year-olds surveyed said they’re comfortable not having cash, and only a minority (42%) have cash on them at all times. Millennials are going to represent 60% of the workforce and they are addicted to their phones. They love technology and rarely carry cash. Mobile payment is the new norm and it’s not going anywhere. "We're vastly approaching that real time where's there no cash," said Neale Godfrey, of the Children's Financial Network, a company she founded in 1989 to help teach kids and parents about money. "Our kids will look back on bills and coins as relics." Vending machine operators have to figure out what their customers want in our increasingly cashless society. Cashless forms of payment are a no-brainer to make it easier for consumers and help vending machine operators become more profitable. Consumers are given more convenience to use an easier form of payment at vending locations and vending operators are guaranteed a steady flow of sales. Sales are up and consumer satisfaction is too. The era of the smart vending machine has arrived. Professor Michael Kasavana of Michigan State University who studies self-service technology says, “Machines that accept plastic can lift sales 25 percent to 30 percent. Revenue per transaction can rise 15 – 20 percent when the machines can prompt consumers to buy a Snickers bar along with their bag of Doritos”. What vending machine operator wouldn’t want to increase their sales? 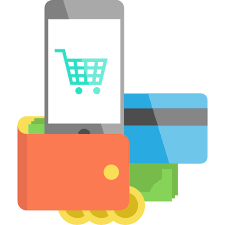 Cashless readers can not only produce a sales lift, but can increase customer satisfaction. Furthermore, operators that have adopted card readers rate it as their best investment when it comes to ROI. When it comes to results, the proof of card readers’ value is in the numbers. While more and more consumers are using credit cards due to their general convenience, there are some interesting effects of using plastic. Paying for any purchase produces an immediate pain of paying. However, this pain differs depending on payment method. As a result, consumers spend more money when they pay with plastic as opposed to cash – and this had proven true in vending. Studies show that card users are more inclined to make impulsive purchase decisions, which is particularly effective for vending – impulse and convenience are main drivers for customers to use vending machines in the first place. This translates to much higher total sales in machines with card readers. How can a vending operator encourage their customers to go cashless? One way to do this is to add a Credit Card Reader to your vending machine. Another way, is to remove cash intake options from your machine entirely. Remove the coin mechanism and the bill validator and go completely cashless. You could also purchase your machine without the bill validator or coin mechanism in the first place. This can encourage your customers to use their debit/credit card or mobile pay options instead of bills or coins. Will this decrease overall profit since some folks don’t carry plastic? What do you think? Submit your opinion below in the comments. For an operator to truly maximize sales with a card reader, they need to maximize the amount of cashless payment methods they can take. Vending is all about convenience. If you ignore the most convenient way for someone to use your machine, then they will be less likely to use it. What if you have a machine in a gym, and one of your potential customers forgets his wallet in his car? They might forfeit their purchase because they don’t want to walk back to the parking lot. But if that machine accepts mobile payments, they can fire up Android Pay or Apple Pay on a mobile device, and can continue on with the transaction – keeping you from missing a sale. Fifty years ago, the ATM machine was a novelty. Now, there are so many different ways to pay for things. We've still got plastic, but now there are also digital options, from Apple Pay, Google Wallet and others to apps such as PayPal, Zelle and Venmo, which let you send and receive money with a few taps on a smartphone. A world without cash isn't a crazy notion. Look ahead to the future. Go completely cashless.